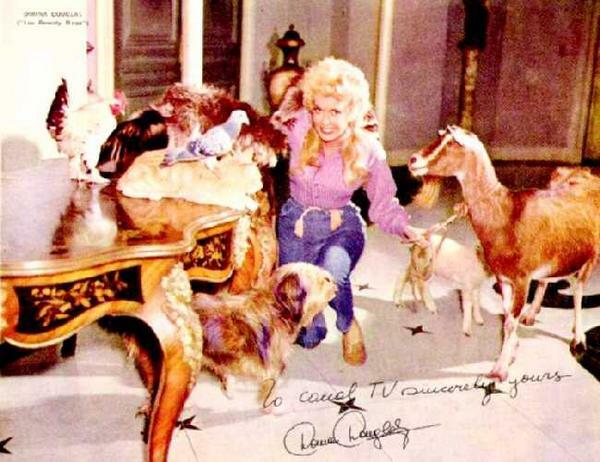 Donna Douglas, who played Ellymae Clampett on the Beverly Hillbillies died Friday, January 2nd. 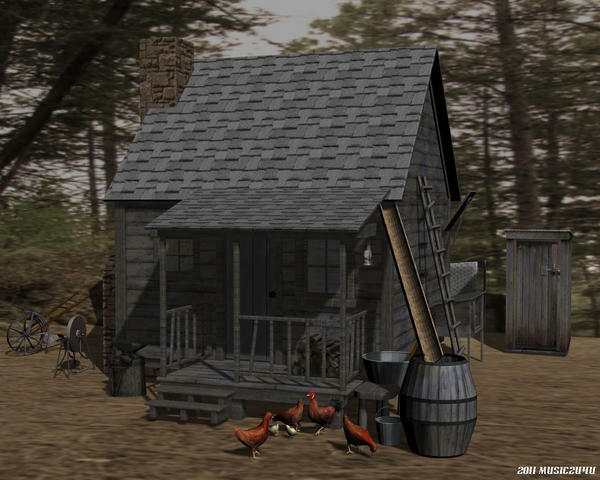 Music has a very elaborate Beverly Hillbilly shack model set with over 30 movable props. It was very popular last year and some folks have won it. 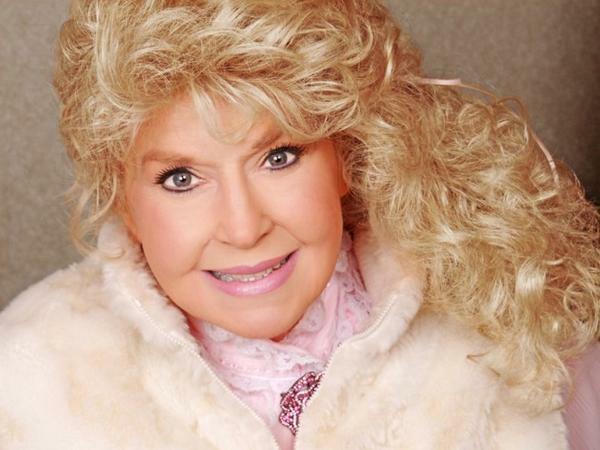 Music has offered to put the entire set up as a prize again to all three winners so I am changing the theme as a tribute in Donna Douglas’ Memory. Your entry must include an Ellymae. Music2u4u is donating his Beverly Hillbilly Shack to all three winners. I will be one of the judges for this one it seems. Thank you Gulan. I am happy to have your help. And you can put my name in the third judge's slot. Thank you MegonNoel and robkelk. That would be great. Glad you got some judges sorted out. I will be around as much as I can, but I definitely hate January this year. I have to move house. 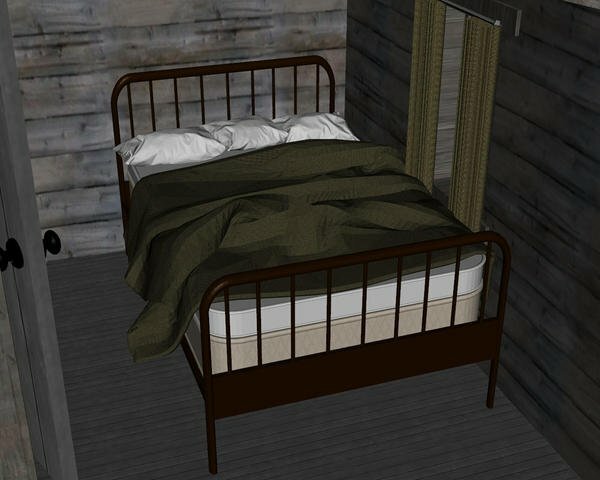 Still no absolute definite date yet, but sometime in the next two weeks, so at the moment all the hassle of packing and sorting everything out, and then after the move the inevitable wait for phone and internet to be reconnected, as well as all the unpacking again. Need some cream pies thrown at the so nice landlord who has made this move necessary. Thank you Chohole. Your help is always appreciated. I hope your move goes smoothly. I heard from Music and he suggested a different theme for the January contest. Donna Douglas, who played EllyMae Clampett on the Beverly Hillbillies died on January 2nd. I have changed the theme for the Freebie Challenge as a tribute to her. Music will be posting some info on this subject a little later and has also offered his Beverly Hillbillies Shack as a prize to the 1st, 2nd & 3rd place winners. I have included a couple of links to info on the Beverly Hillbillies for anyone not familiar with the show. I apologize for all the confusion. Ellymae was everyones sweetheart. She was well loved by all. I have never seen a photo of her where she was not smiling. Her life was a very happy one. No tragities or bad news. Even on her death bed she was surrounded by love. Here is one of the last pictures taken of her just before she died. She was as beautiful as she ever was in her life. Not bad for 81 years. Elly was the "critter" queen. She loved all animals and they loved her. She could walk in and sit down with a lion and it would not hurt her...lol. Would love to see some "Elly and Critters" entries this month. Just be sure to keep your eyes out for Granny...she will give you a good helping of ladyfinger buckshot!!!!! Here are a few pics of the shack I will be giving to the three winners. 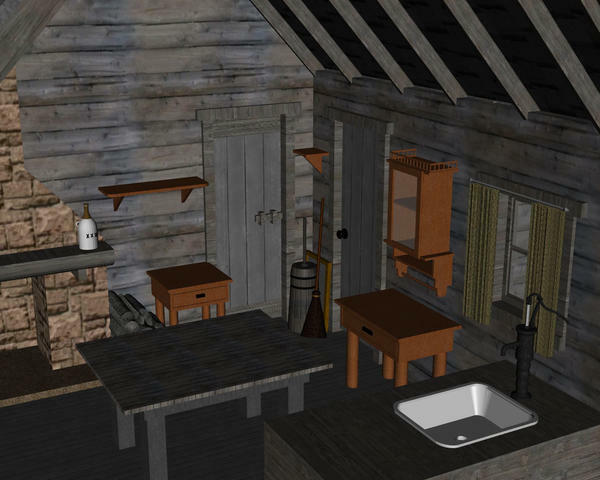 It has over 30 movable props, all the doors work, it has the outhouse in back, you can hide the walls for rendering, it is designed exactly like the one on the TV show. This month's Banner, Just paste this in your signature box on your control panel>edit signature page. 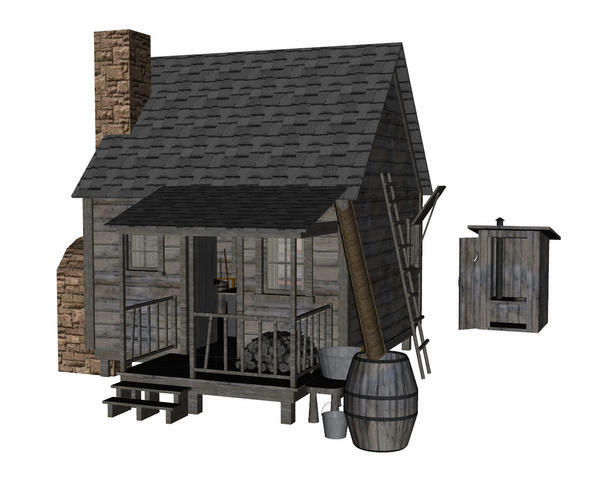 Here is a render of the shack along with a pic from the show. Soooo sad about Donna... Beverly Hillbilly's is one of hubby and mine's favorite shows.. It's still on tv by us. One of the oldies channels.. lol. Looks like fun.. I'll try and put a render together :) Happy rendering everyone. I never heard of it, but it reminds me of this one :) used to watch it on TV long time ago. Shack looks very nice btw. Don't they have something like Cartoon Network where you live, Gulan? I don't even see TV these days, but surely "The Beverly Hillbillies" is still in constant reruns -- or have a look at YouTube! You'll quickly notice that Ellie May was.WAY better looking than Grizzly Adams, especially when she was down by the see-ment pond in her one-piece. This was from the last time we were ogling Ellie, back in 2011. That's still Music's Hillbilly Shack. Good lord, I remember that show, use to watch it all the time way back when. I even saw the movie with Jim Varney which I really liked. I really liked the original series back when it was playing on channel 5 in Los Angles, but the remakes & the movie did not have the charm of the original series. Different writers & producers, different point of view. Ah come on, you guys! You're making me feel old! I can remember watching the show as a kid when it was first run! Not to mention for the next thousand years in reruns on just about every station in the area. 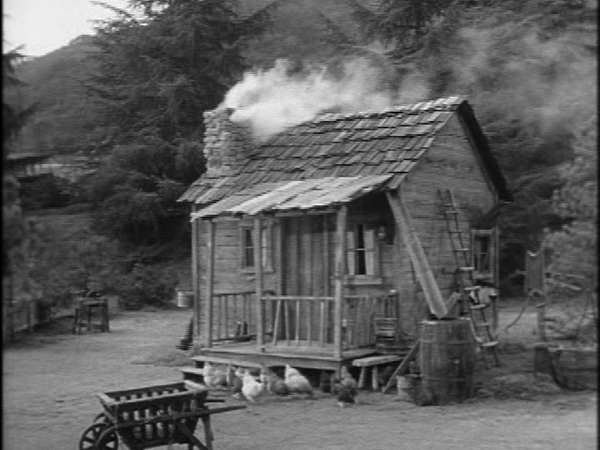 Here's a trivia question for you: It's pretty well known that the Clampett clan were from the Ozarks, but Granny was born and raised somewhere else. Any guesses as to where? Bonus points (for whatever that's worth!) if you can spot the continuity error and name both places she claimed to be from! How do I know...or even care? I'll answer that when you answer the question! If it makes you feel any better LG I remember this show from when I was a kid...but it's been too long for me to know the answer to your questions. If it helps any, I remember the first-run black-and-white episodes ... barely. When they were first-run, they were all black and white for me. We didn't have a color TV. I got a color TV after I was married...and that first one was a used one. We got our first color TV just in time for the Apollo moon landing in 1969. Now if I remember this right, about 1970 or so, I'd come home from school and watch the Hillbillies & Star Trek on KTLA chl. 5 just before the 6 o'clock news. They ran a lot of repeats that way. Sonny's real name was Adonis. I don't know anything about where Granny was from, though. They all came from Bug Tussle before moving to Beverly Hills. or maybe it was a comment she made? Could you make the next challenge more international. I never heard from this TV series nor from the actress. Maybe she was very popular in the states, but not well known in other countries. DAZ and the forum are international sites, which was often forgotten. I can't speak for February, but I can guarantee March's challenge will be internationally accessible.